Ever hopped into a newer model Subaru and watched in awe at the cluster while it does a full sweep prior to ignition? Ever wished your SF5 had the same capability? Now it can! 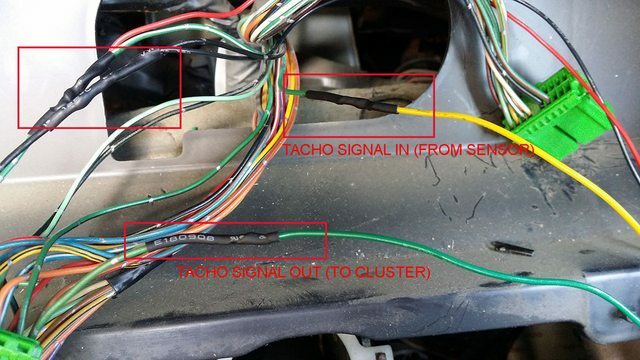 This DIY covers the process of building and installing a custom module that runs a full sweep of both the speedo and tacho upon startup: Forester SF5 Cluster Gauge Sweep. 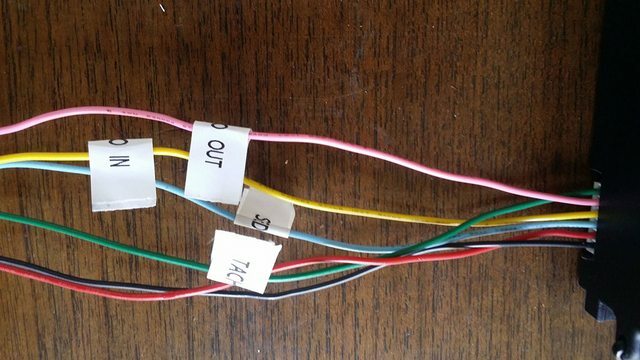 If you're proficient at reading and soldering circuits, this can be completed in about half a day and will set you back no more than $20 in parts. Note that as we are feeding false information to the cluster, every time you start your car the KM reading will advance prematurely by approximately 10 meters. If your car is started twice per day, every day of the year, it will age prematurely by 7.3KM each year. 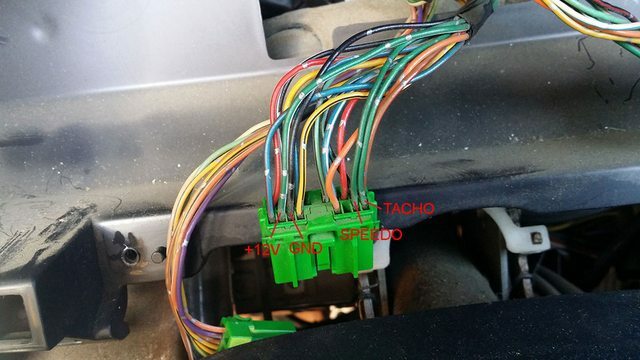 Also, the speedo pulse input is 5V where as tacho is 12V. 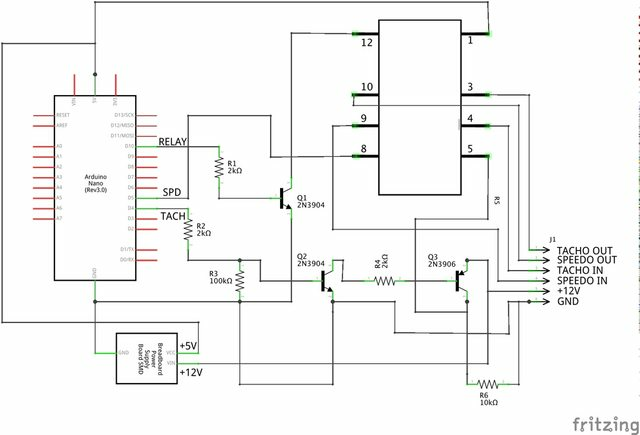 This is why we need a bit more of a circuit on the tacho side, to step up the 5V output to a 12V signal. How to get setup with the Arduino. For this, I would recommend reading the Getting Started (https://www.arduino.cc/en/Guide/HomePage) guide and installing the software, then have a look at the 'Blink' tutorial to make sure everything is working as expected. Don't be put off - you can be up and running in 5 minutes. All components should be available at Jaycar (with the exception of the relay maybe - but I've never checked). I source all my stuff online in bulk, mainly from eBay. Don't buy the Arduino Nano from Jaycar, you can get copies from DealExtreme or eBay for about $5 each, which include USB cables. You can purchase small-gauge wire but there is an abundance of looms available for harvesting in any photocopier - particularly the older stuff (pre 90's). Find one for free on Gumtree and tear it apart. Takes a bit of time but the yield will last forever. I have used an 'Arduino Pro Mini' instead of the Nano. The difference is that the Pro Mini has no USB programmer inbuilt, so it is a smaller form factor. 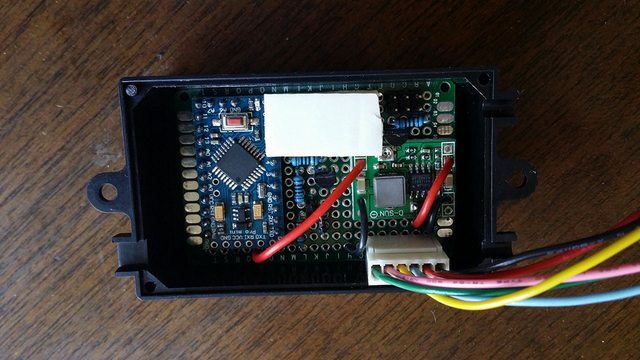 If you use a Pro Mini you'll need an ISCP programmer or another Arduino to upload the program. In other words, just use the Nano. The 5V power supplies are also abundant on eBay. 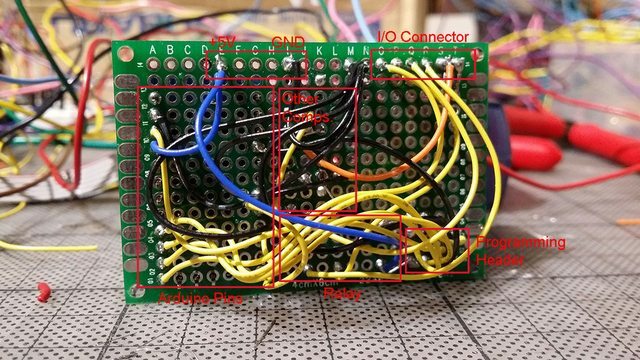 Many run on the LM2596, which works fine, just make sure it's adjusted to output 5V. Or, through holes which are connected by traces in rows (no image). 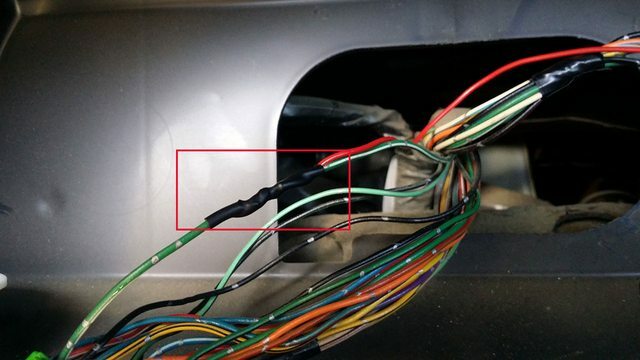 You will find that if you use the first option (which I did), more soldering will be required - as you have to create every connection. The second option might simplify things, but either is fine. 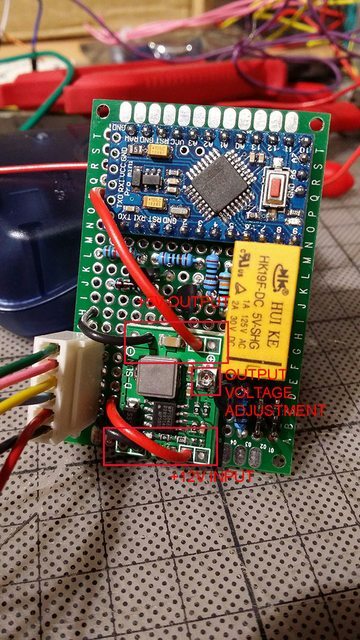 I used some double sided tape to fix the power supply to the PCB, then soldered in some wires to connect the voltage input/output. 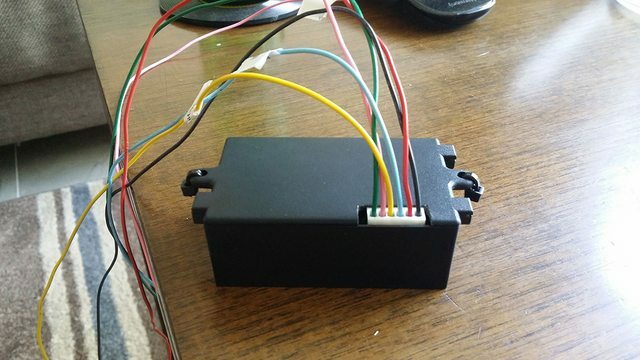 I also soldered in a 6-pin connector, as I was still developing at the time and wanted to be able to remove the harness easily. You'll also notice my lack of USB port on the Arduino, but there's a black 6-pin connector which I soldered in for programming. Solder links between individual components first. For example, the link between Arduino pin 10, and resistor R1. This link does not connect elsewhere, do links of this nature first. I soldered wire onto all components that connect to GND. Cut them all to equal length, soldered them together at the other end, then in one go soldered them into the GND output of the power supply. Finished up with the +5V and +12V links using the same logic as above. 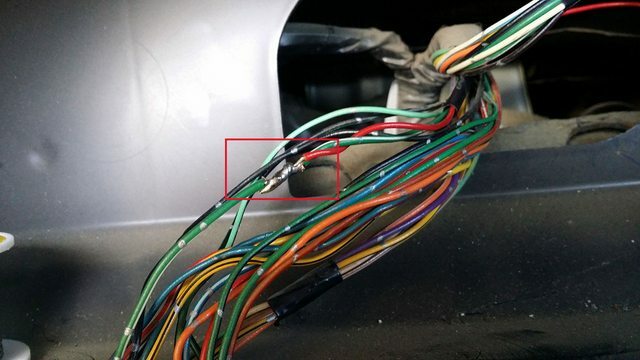 Don't forget to wire in your connector. If no conector, use the 18-20AWG wire soldered straight into your board. I left approx 30cm. 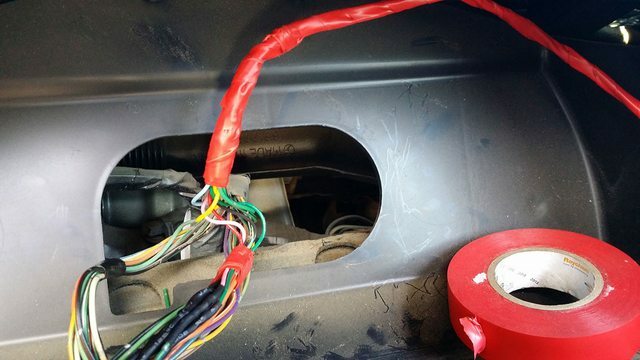 At this point, you should be able to connect the GND and +12V connections from your power supply to the car battery. The relay will engage, then disengage about 2 seconds later. If you have got this far, then things should work when you get the module into the vehicle. You can test the outputs with a multimeter, set to DC voltage at a low level and for the first 2 second after applying power, you should see some activity (measure between GND and TACHO OUT/SPEEDO OUT. If no activity, then there could be a problem - check your circuit and compare it to the schematics. 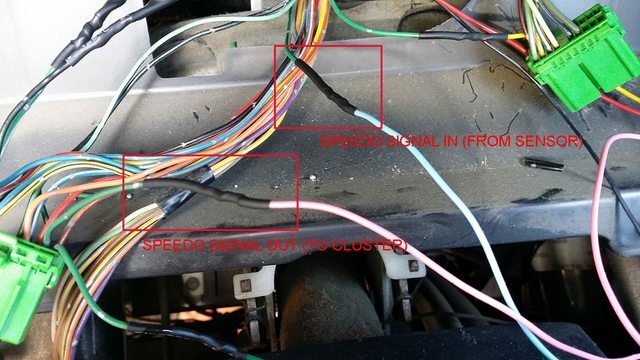 I have no photos at this point, but if you're sitting in the drivers seat, there are two screws in the plastic shroud directly above the cluster. Use the stubby driver to remove these screws. You can then remove the shroud - there are two clips at the bottom left and bottom right which just pull out. Next, remove the three screws holding the cluster in place (one top middle, one bottom left, one bottom right). Manoeuvre the cluster out and disconnect the plugs at the same time - there are three. I couldn't get a decent photo, but I mounted the module just below the steering column - push it through the hole in behind the cluster, and fish it out down the bottom. Couple of cable ties hold it in place sufficiently. Last edited by robbith on Wed Feb 06, 2019 8:48 am, edited 2 times in total. There are a lot of DIYs on this forum but I think this just took the crown. Yip, make the boxes up and you'll have ppl lining up !! Yep would buy one for sure I miss my Vipec cluster sweep. 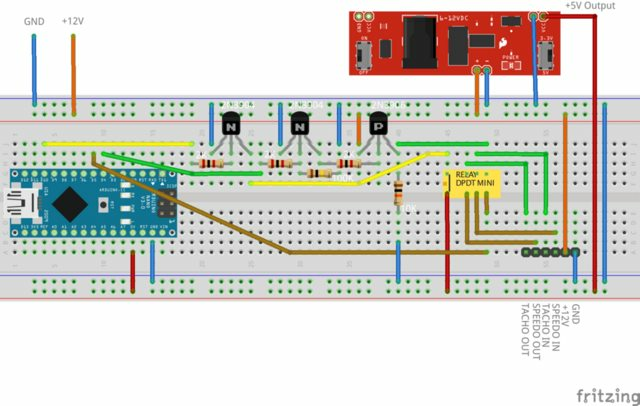 The whole thing can be condensed by substituting the Arduino board out with a little 8-pin chip which costs next to nothing. Might look at the cost of getting a few boards fabricated up, and I can easily program the IC from this end. Not sure where I'd put an EOI for this - wouldn't bother unless I had at least 10 people interested. I Say: F#*k 'em if they can't take a joke. Just did some quick and dirty calculations. 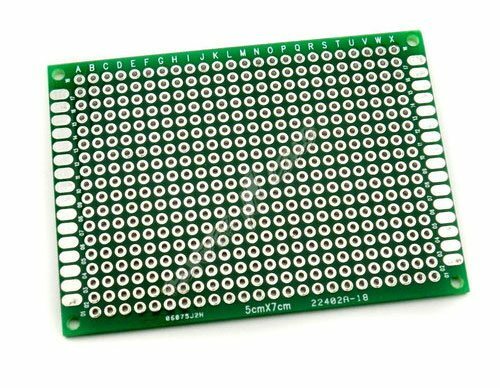 I can supply PCB, all components (except box/case), and pre-program the IC at around the ~$30 mark - to be soldered by yourselves. ~$40 would get it pre-assembled. ~$45 pre-assembled in a box ready to go. Same as before though - I'd need 10 people committed or it'll cost me too much in overhead. Also this mod should work on other Subaru clusters. If anyone has a GC8 cluster etc. I can easily re-map the existing program to suit - I'd need to borrow it for a couple of hours.